The magical world of fairies is a source of endless fascination for children. 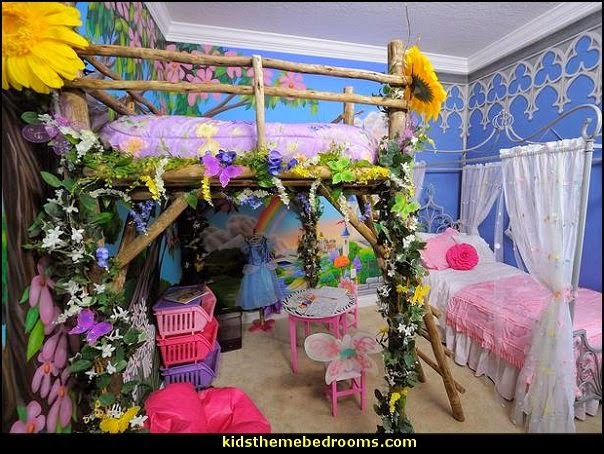 Design an enchanting Fairy Forest bedroom for your little girl, tween girl or teen girl to dream and play ... in her very own fantasy world filled with fairies, unicorns, wizards and dragons. Children love the mythical creatures and characters found in cartoons and children's storybooks. 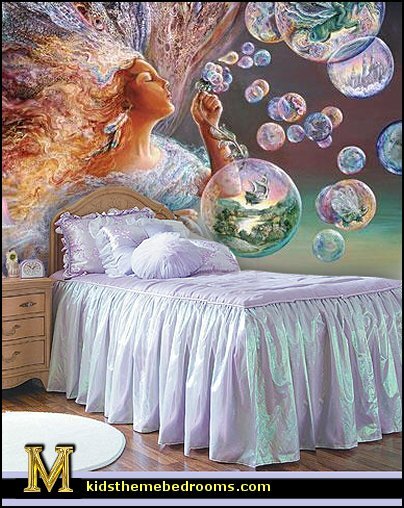 If you're looking for the perfect decorations for your child's room, consider decorating it in a fantasy theme, complete with colorful fairy fantasy wall murals. 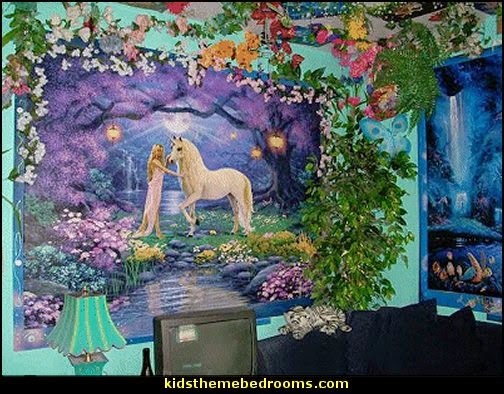 Gorgeous mural and bedroom, great for any fairy-obsessed girl that's looking for a unique room. 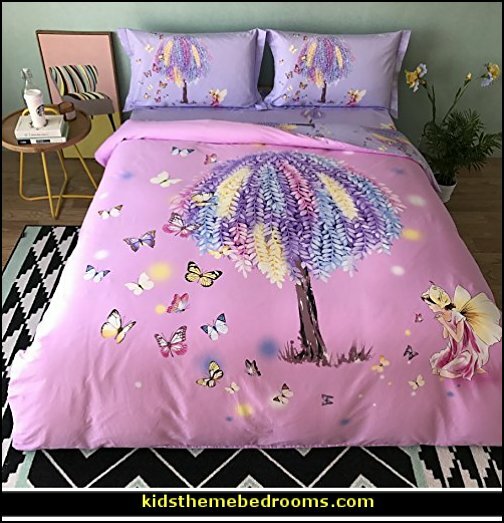 Adorable fairy bedding from girls fairy bedding, with cute colors in shades of purples and pinks. 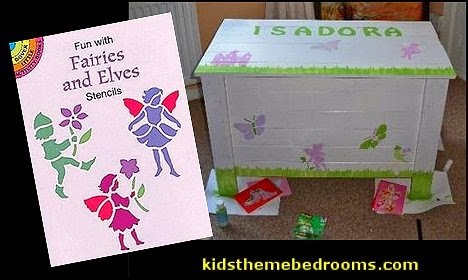 A cute little fairy bed. 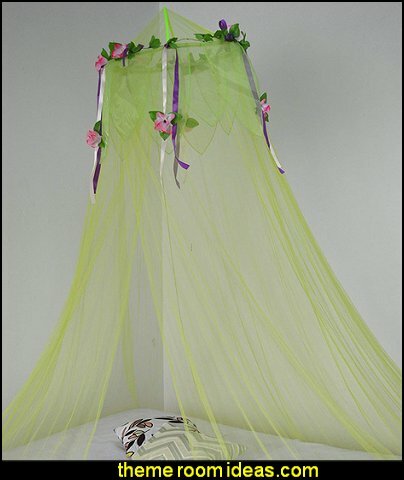 Fairy bedding from girls fairy bedding. 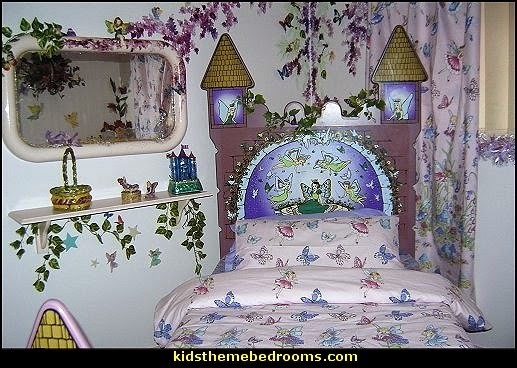 Fairy forest bedroom filled with a rainbow of color. 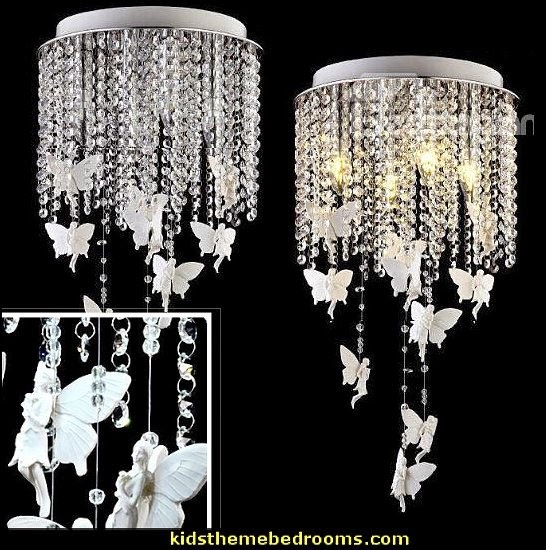 An amazing themed room for those who love fairies, castles, flowers, sparkles and just about anything in that genre! A fun themed room that any girl would love! 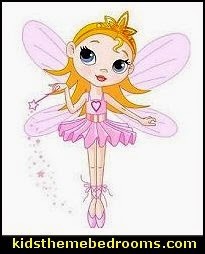 Little girls and fairies - they go together like chocolate and peanut butter. 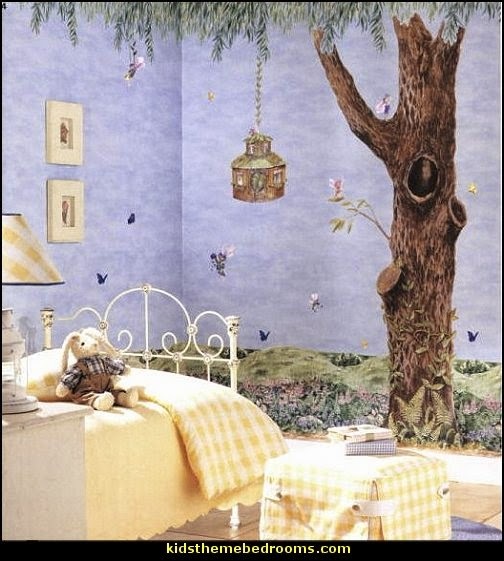 If you're looking for a great way to decorate your little girls bedroom, fairy wall murals are a great place to start. 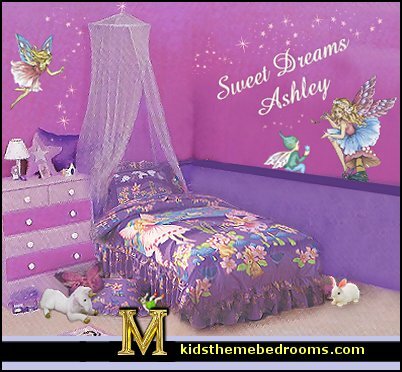 Choosing Between Different Large Wall Stickers The Murals Your Way fairy and angel wall murals selection is huge, and getting your daughter to narrow her choices down won't be easy. Explore hundreds of different images, ranging from tiny pixies floating amongst flowers in a field to cute cherubs painted in Italian renaissance style. 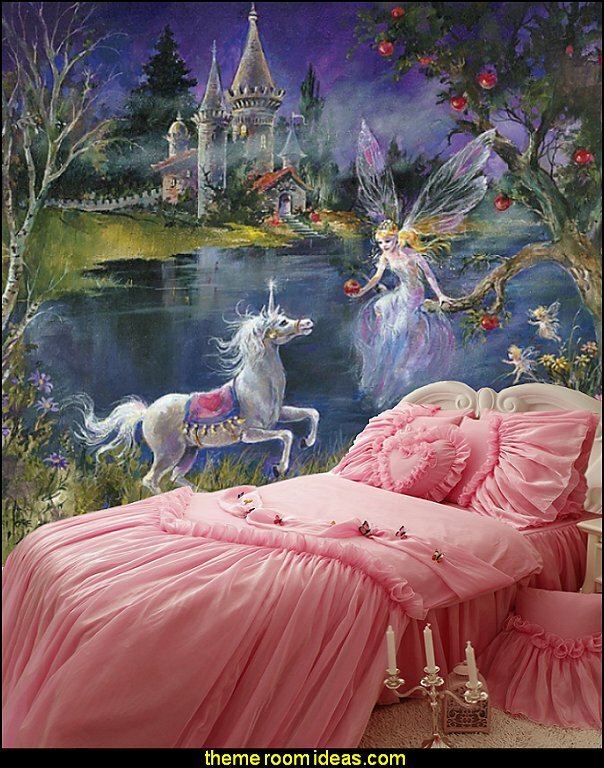 You can also find fantasy fairy paintings complete with unicorns or dragons, and little girl angels, dancing in the woods with cute bunnies. 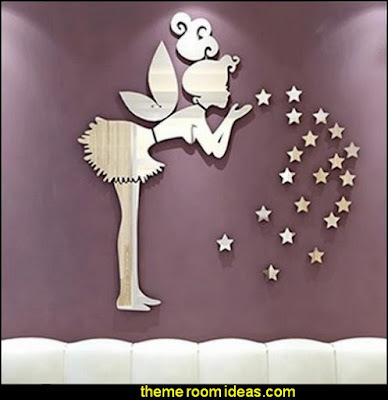 Where to Hang Angel Wall Murals Depending on the content of the image, you have a lot of options for using fairy wall murals to decorate your daughter's room. You could make the wall mural look like a large piece of art, and put it on one wall. 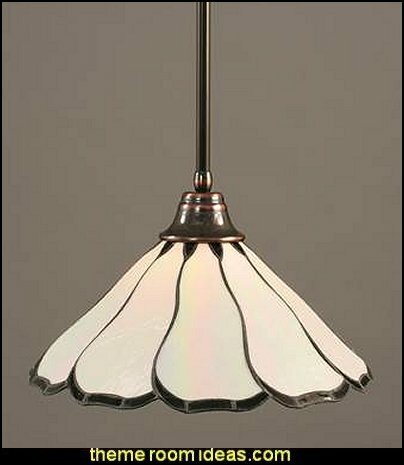 Or you can enlarge the image to cover the entire wall, from floor to ceiling and corner to corner. 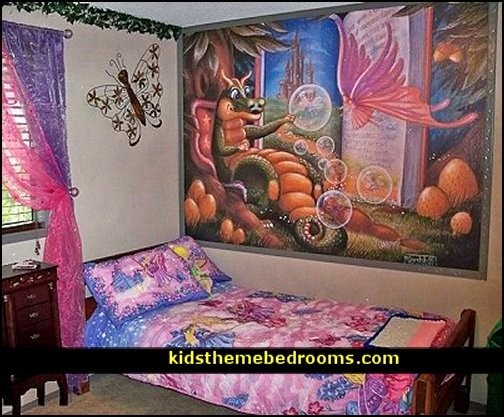 Some images work really well on multiple walls, surrounding the bedroom in a fantasy setting. And others might do better up on the ceiling, where your daughter can go to sleep each night. If it don't move - PAINT IT! 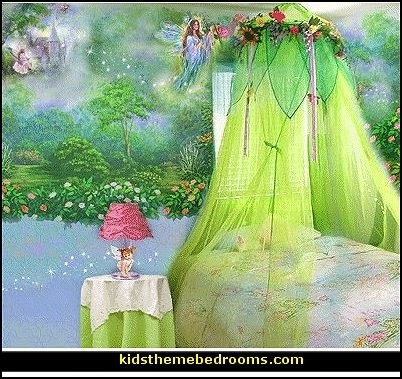 Get creative with the walls of your fairy forest, and transform the room into a magical fairy land. This book contains four stencils. These stencils were designed for use on walls, furniture, fabrics, canvas.wherever your creativity demands. They can be used individually or combined to create scenes. 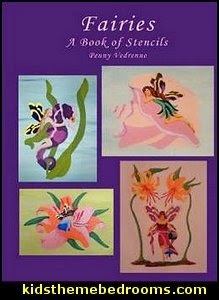 Just use your imagination and paint ribbons or vines from one completed stencil to another. 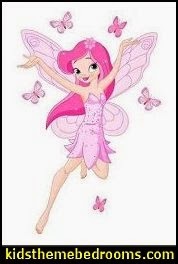 Fairies (also seen as fairie or faerie) are mythical spirits or supernatural beings found in legends and folklore of many different cultures. They are winged creatures in the form of humans that possess the abilities of flight and magic. They are also able to foresee or influence the future and are most commonly associated with mischievous behavior. Fairies are an excellent subject for art because they are a creature of fantasy and thereby not restricting the imagination of the artist to recreating realistic views and scenes. Fairies can sit on flowers or nap inside of sea shells. 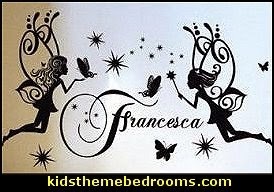 I hope you enjoy your Fairy Stencils and create some fabulous works of art with them! Dainty little sprites bear flowers and celebrate nature in this whimsical collection of 6 sturdy open stencils. Perfect for bedroom walls, furniture, tracing and coloring fun as well as use by adult craft workers.